THE COMING OF "THE BLACK WAVE"
Nothing in our shared cultural experience will prepare us better for the oncoming "Black Wave" throughout the Gulf of Mexico than the Exxon Valdez Oil Spill in Prince William Sound, Alaska. And yet even this environmental catastrophe falls far short of what is coming around the corner in the Gulf. Alaska is not Florida, or Louisiana, or Texas. The Deep South summer here in Tallahassee, FL has been as hot and humid as any we’ve seen. This weather pattern is what will distinguish the BP Gulf Oil Spill from the Exxon Valdez just as the total volume of the spill and use of dispersents have. These realities in the water, and in the air, ought to be known by anyone participating in cleanup and recovery operations anywhere in the Gulf. To ignore them is to do so at great peril. The water has been polluted to a degree never seen on such a grand scale in US Territorial Waters. There simply is no precedent here. The Caspian Sea in Asia is a known petrochemical cesspool, which is so dead that all the bordering nations have given up on her and mercilessly plunder her depths for oil. 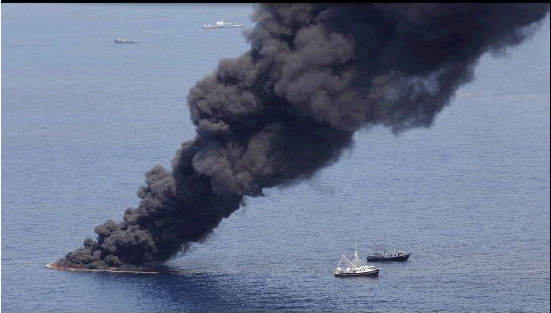 How far behind is the Gulf of Mexico in the wake of this spill. If you value your health, you ought not to eat seafood from the Gulf. If you value your health, you ought not to swim in the Gulf? If you value the health of your children, sensitive and delicate as they are during their formative stages, the affected Gulf Coast beaches are no longer a safe and healthy place on which to walk. Nor is wading in the water a safe practice until we know the true status. 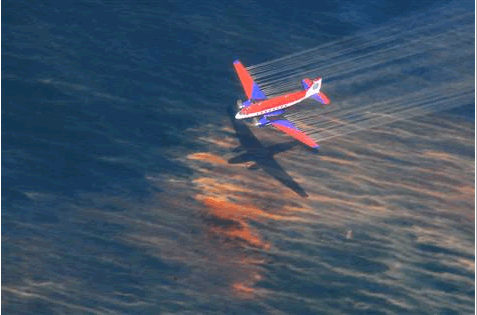 Question: What do you get when you mix oil & methane gas, with oil dispersant (COREXIT), with radioactive effluent, with surface-burning oil slicks (petroleum+dispersant), with lots of dead marine life of every sort and kind in the Gulf of Mexico during a hot and humid summer? Answer: A toxic petrochemical stew which is neither safe to eat from, nor swim in. The affected beaches, wetlands, marshes and estuaries should also be viewed with great caution, or avoided altogether. 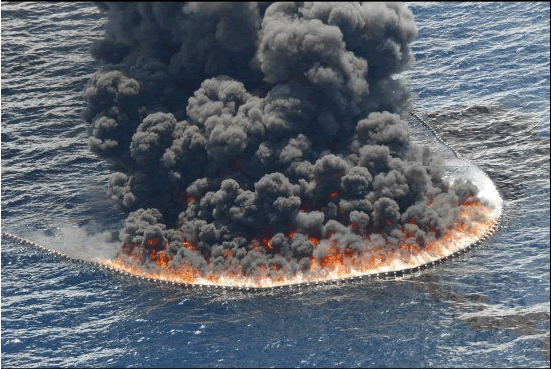 Many in the MSM have been trumpeting the miraculous recovery of the Gulf of Mexico in the wake of the successful capping of the gushing oil well at the Macondo Prospect. Of course there are also those from whom common sense has not fled. Thankfully, we still have among us reasonable people who are able to utilize the human faculty of reason. We pray that there will be many others who will understand the simple facts of life in the Gulf, which has taken on an awesome toxic burden – a toxic load of various chemicals, pollutants, contaminants, and poisons that ought to be dealt with very carefully and with great circumspection. Petroleum and its many derivatives bio-accumulate within living organisms and will concentrate in adipose tissue in human beings. It contains many different chemical constituents that will break down, each of which possesses different levels of toxicity to marine and human life. This would be a concentration of only 1 ppm. Crude oil and petroleum distillates cause birth defects. Benzene is present in both crude oil and gasoline and is known to cause leukemia in humans. The compound is also known to lower the white blood cell count in humans, which would leave people exposed to it more susceptible to infections. “Methane is not toxic below the lower explosive limit of 5% (50000 ppm). However, when methane is present at high concentrations, it acts as an asphyxiant. Asphyxiants displace oxygen in the air and can cause symptoms of oxygen deprivation (asphyxiation). The available oxygen should be a minimum of 18% or harmful effects will result. Methane displaces oxygen to 18% in air when present at 14% (140000 ppm). It is not expected to cause unconsciousness (narcosis) due to central nervous system depression until it reaches much higher concentrations (30% or 300000 ppm) – well above the lower explosive limit and asphyxiating concentrations. Effects of oxygen deficiency are: 12-16% – breathing and pulse rate are increased, with slight muscular incoordination; 10-14% – emotional upsets, abnormal fatigue from exertion, disturbed respiration; 6-10% – nausea and vomiting, inability to move freely, collapse, possible lack of consciousness; below 6% – convulsive movements, gasping, possible respiratory collapse and death. Since exercise increases the body’s need for oxygen, symptoms will occur more quickly during exertion in an oxygen-deficient environment. Speaking to CNN on Friday, her message was a bit more dire. “It ruptures red blood cells, causes internal bleeding and liver and kidney damage,” Dr. Shaw said. Factoid: COREXIT’s interaction with petroleum is particularly troubling in that dispersed oil causes a much higher rate of mortality in fish than either the oil or dispersant alone. Then there is the radioactive component of the hydrocarbon effluent that comes from mantle-generated abiotic oil and which irrefutably possesses higher levels of radium isotopes. The deeper the petroleum reserves, the more likely the reservoirs of oil and methane in those geological formations will contain uranium, thorium or radium. Given the elevated levels of radioactivity at the source, the level of radioactivity associated with the hydrocarbon effluent coming out of the well will inevitably be impacted. Parallels to "Gulf War Syndrome"
The most serious result of Gulf War Syndrome variants were the numerous instances where the veterans subsequently had children who were deformed or who had defects that were directly the result of genetic mutation. Could a toxic cocktail of pre-war vaccinations and exposure to oil well fires produce such an effect so quickly? Not likely, unless there was much more to (and in) the vaccine regimen that we do not know. However there is one thing we have learned about the development of oil and gas reserves, which we did not know until recently. There is a radioactive component found within geological formation from where oil and gas are pulled. This fact has been scientifically documented by the American Petroleum Institute, as well as by many petroleum engineers, geologists and scientists from around the world for many years. Curiously, it is rarely ever talked about and even denied in some circles, as it would have probably caused the demise of the entire industry. It now appears that the US service members who suffered the most, and especially those who bore children with unusual and inexplicable defects were directly exposed to radioactive hydrocarbons. When Saddam Hussein ordered the destruction of the oil and gas wells by setting them on fire, Iraq was transformed into a sort of "Oil & Gas Armageddon." Whoever was present was exposed to these toxic and potentially radioactive fumes. And since they were breathed in, it translated to a much quicker physical manifestation in the human body. Ultimately the black, acrid smoke would find numerous vectors of dissemination, which would allow the toxic constituents to settle on the ground, on the vegetation and food, and in the water bodies and courses. Lastly, we have a Gulf of Mexico that is replete with dead organisms, both microscopic (phytoplankton) and leviathans (whales). This does include plant and animal life of great diversity. Vast swaths of the food chain have been toxified and poisoned by the current petrochemical brew, which by all appearances may appear to be normal. This is where it takes a seasoned observer and astute investigator, applying all the necessary scientific process and procedures, to accurately diagnose the true condition of this traumatized, polluted body of water. All chemicals don’t simply break down instantaneously, as we often hear from the Oil & Gas Industry "word-smiths". As a matter of fact, many are ultimately reduced to such a state that they will have no where to go but to "bio-accumulate" within the tissues of living organisms. These various chemicals are currently being evaluated for their degree of toxicity and reactivity in vivo (within living organisms). 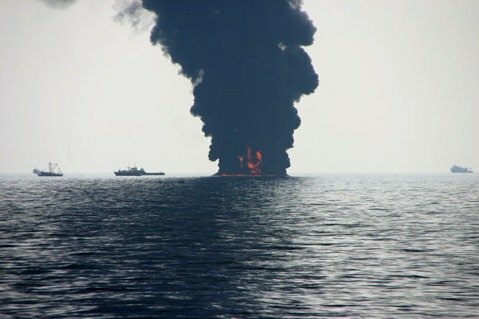 Given the total volume of oil and dispersant(s) currently in the Gulf, there is no question that there will inevitably be substantial and dire consequences to the entire food chain. Particularly as the larvae at the bottom of this chain pick up the various chemicals and contaminants, and are subsequently eaten by larger and then larger marine animals, we will see threats emerge to that segment of the human population which continues to eat the seafood from the Gulf. GREAT time to become a vegetarian! Last Ausust, we were in the throes of an extremely hot and humid weather pattern here in the Deep South. The Low Pressure Systems forming over the Gulf of Mexico have been relentless since the BP Gulf Oil Spill first began. These were characterized by low cloud cover, little air movement, high humidity and very hot conditions which make it ideal for aerosolized chemicals and toxins to hang close to the surface of the Gulf. This predominant weather pattern had created a very hospitable environment for an exacerbation of the many symptoms associated with the aforementioned chemical exposures. The health and medical records of many first responders who have passed away since 911 will also reveal that they exhibited none of these unique symptoms prior to 911. Therefore, many of these deaths were caused directly by a disease process that was triggered by their exposure to the aerosolized toxic dust that came to permeate a large swath of lower Manhattan. These same records will also reveal a similar pattern of health issues and medical diagnoses which is very similar to those who are still living with the pain and suffering associated with 911 TOXIC DUST SYNDROME. (1) 10.72 parts per million (ppm) of oil alone will kill 50% of the fish test species in a normal aquatic environment within 96 hours. (2) 25.20 parts per million of dispersant (Corexit 9500) alone will kill 50% of the fish test species in a normal aquatic environment within 96 hours. (3) 2.61 parts per million of dispersed oil (Corexit-laden) alone will kill 50% of the fish test species in a normal aquatic environment within 96 hours. As you can see from the above statements, there is a very definite synergistic effect that directly results from the interaction between the oil and dispersant. Together they create a much more toxic environment, and should be considered very seriously when seafood is known to be coming from those locations. Are there other more dangerous combinations to be aware of? We don’t know and toxicologists usually study isolated chemical compounds rather than researching the results of their various combinations. Moral of the Story: What we do not know may hurt us. And in some cases it may take years to show up as a symptom or a disease. Perhaps it is better to err on the side of caution where it concerns our precious health. This state of affairs also illustrates how unintended consequences, collateral damage and toxic side effects all collide in a rather finite system called the Gulf of Mexico with far-reaching ramifications. 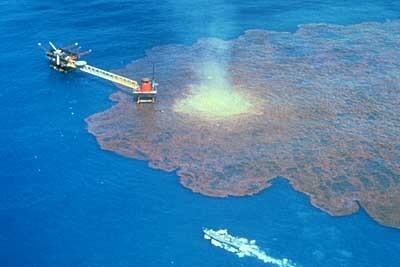 Contrary to what the BP spinmeisters convey to the media and government, the Gulf IS full of oil. Because some of it has been dispersed into tiny droplets, doesn’t mean it isn’t there. 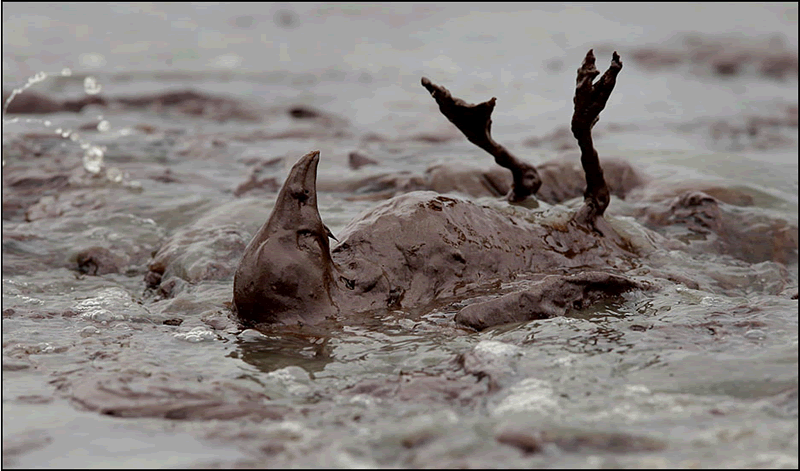 Because much of the spilled oil exists in many different locations, as well as in different conditions, and is out of sight, out of mind, doesn’t mean it’s not there. Oil doesn’t just disappear, as some would have us believe! (1) The pools on the undersea floor are under extremely high pressure and very low temperature, and therefore require a uniquely creative solution. (2) The plumes at, above and below the midline exhibit there own behavior and challenges. 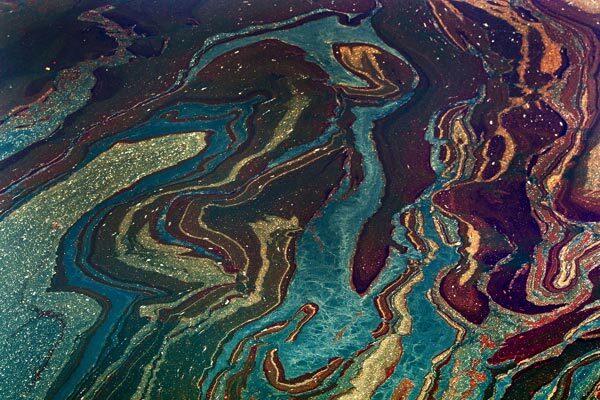 (3) The surface plumes, oil slicks and screens are more easily addressed except when they migrate into the wetlands, marshes and littoral regions. 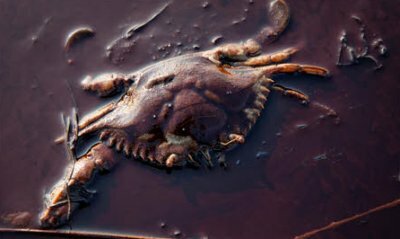 These predicaments pose great challenges no matter what the solutions, especially when they coat the beaches, as the sun and heat and gravity encourage the oil to sink into the sand as it did in Prince William Sound, Alaska after the Exxon Valdez Oil Spill. People will no doubt show up as they always do to help this process of getting things back to normal. However, normal will never return in our lifetimes, and we should therefore seek to protect ourselves from all that can do harm in several different ways. At the end of the day the mental and emotional health repercussions of this disaster will be the most salient. From all with whom we have spoken, we have heard the same litany of mental and emotional problems which seem to surface wherever The Black Wave appears. As the social fabric slowly tears, so do the many support systems upon which we all rely weaken, especially during these already quite challenging times. Most of these psychological maladies are directly related to loss. Loss of job, loss of business, and loss of financial security are some examples. So are loss of health, loss of relationships, and loss of access to the beach. We also see loss of home, loss of a way of life and loss of traditional foods. Fisherman can no longer go out in their boats; beachgoers forgo their morning shelling routine; joggers take to the pavement instead of the sand. We have before us a defining moment in American history. An entire region of the country has been beset with a manmade environmental catastrophe, the effects of which will be felt for generations. How do we respond to the Black Wave? How de we deal with a foreign, multi-national corporation that is as addicted to oil as it is to deception? How do we respond to the Federal Government that demonstrates a similar pattern of mass deception through disinformation and 'skewed science"?! I just got this from a friend fisherman in Florida. 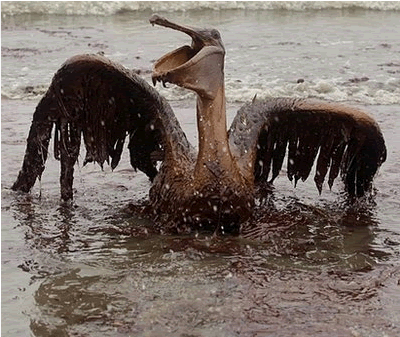 It just shows that the oil did not disappear but is slowly getting into the food chain. Bp and the media are covering this up. This is only the start of chain reaction in the food chain. Please send this picture to everyone who cares about gulf seafood. BP's "Big Lie" PR Program is floundering like a dying fluke as the weight of BP's offense against nature and Gulf Coast residents grows exponentially and the proof of their Eco-criminality mounts, day by day. "ROBERT MORNINGSTAR DISCOVERS DOUBLE DOMED HANGERS AND HIGH TOWERS..." "ON THE MOON"!